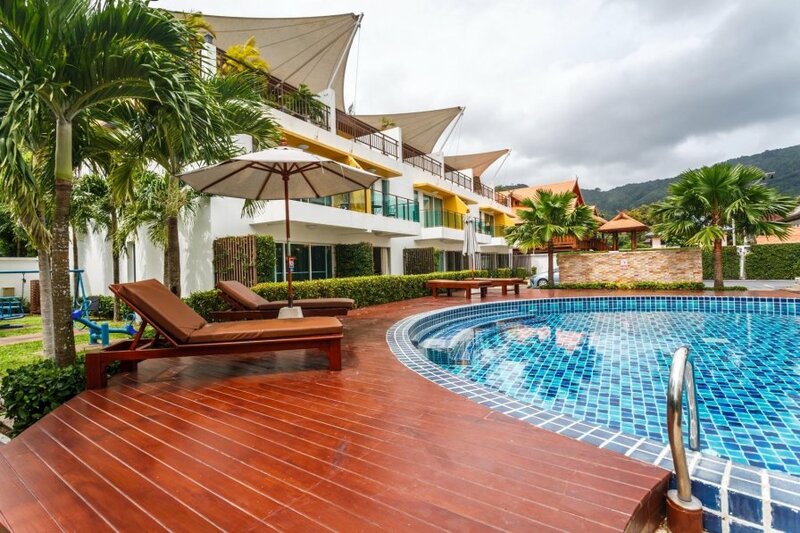 This 3 bedroom house with swimming pool is located in Tambon Kammala and sleeps 6 people. It has WiFi, a garden and parking nearby. The gated secured estate has parking, gym and children's playground. A large swimming pool with deck and sun loungers by the side. There is a kid's pool and a spa pool for up to 12 people. The kid's playground is ideal to entertain.